Still more words!! Not long ago, everybody's favorite archaeologist, Garrett Fagan, posted a virulently negative 37 page review of Robert Schoch's most recent book Voyages of the Pyramid Builders on the Hall of Maat Website. Intemperate and apoplectic, even by Fagan standards, this provoked another tangle of threads, most of them accolades of support and applause from Maatzis-in-Residence but with a few dissenting voices in the mix. It seemed to me the outnumbered dissenters could use some support as well. Moreover, both the tone and content of this Fagan review and the brouhaha that accompanied it provided an opportunity to deal with a variety of topics germane to the ongoing Sphinx controversy and related issues in a new and  I like to think  amusing way. This essay is the result. If this is the first you've heard of the Fagan review, before reading my response it's not a bad idea to read it first and even follow some of the threads, anyway, as much of it as you can handle, to put it all into context. Appreciating Fagan is admittedly something of an acquired taste, and many of you probably have not acquired it. If you're one of those, my essay is pretty much self-explanatory. AN OPEN LETTER TO THE EDITORS OF ARCHAEOLOGY FROM JOHN ANTHONY WEST - Re: Atlantis and Beyond: THE LURE OF BOGUS ARCHAEOLOGY (or: The Anupadeshi Strike Back) Special Section in Archaeology May/June 2003. The current issue of Archaeology magazine features a Special Section devoted to debunking 'alternative' archaeology. More. THE GEOLOGY PANEL AND MAGICAL EGYPT DVD SERIES UPDATE - I'm off to Egypt May 10 for two weeks with Philip LaPorta, Principal Scientific Investigator of our planned Geologists Panel to introduce him to the sites and all aspects of the evidence supporting the water-weathering theory. Episodes 1-4 of the Magical Egypt DVD Series are now complete and are being shipped out. More. Egypt Trips for Fall 2003 and Winter/Spring 2004. Dates for these being set up. With luck the Mid-east situation will permit travel. Despite all the furore, at the moment in Egypt as far as travel is concerned, it's business as usual. If interested in taking a trip this year or in the Alumni Trip, advance notice appreciated. More. I am still looking for funding for our Geologists Panel. It is imperative to carry out this survey. More. "Whenever you find yourself on the side of the majority, it's time to pause and reflect." Mark Twain. My ex-partner (and ex-friend) Boris Said died on March 24, 2002 of liver cancer, aged sixty-nine. How safe is travel to Egypt? Not suprisingly, this is the question everyone about to travel, or thinking about near-future travel to Egypt is asking. The above dates are firm and short of some act of the gods, or major incident officially forbidding travel to Egypt, these two trips will run. For some time now considerable interest has been shown in a proposed ten part TV series devoted to the whole subject of the 'Lost Civilization' -- the legacy of its doctrine, its implications for the upcoming Age of Aquarius and the extraordinary correspondences shown between ancient esotericism and leading edge contemporary physics and cosmology. On several occasions already, it looked like a contract was shortly forthcoming, and I sent out warnings that if this became a reality, my Magical Egypt trips would be severely curtailed or stopped completely for at least a few years. So far the promised contracts have failed to materialize and the trips are still running as usual, 4 or 5 times a year. But the media interest is real (anyway as real as anything can be in the unreal/surreal world of TV/Hollywood) and it is therefore worth repeating that future trips could be curtailed with little warning if a contract is signed. Potential travelers to Egypt take note and act accordingly. Remember that (in my opinion of course!) if you're not getting Symbolist Egypt when you go there, you're not getting Egypt at all. Until or unless I am able to train up the few qualified potential teachers around to take over my Magical Egypt Trips, I remain, unfortunately, the only Symbolist wheel in town. Itinerary and price changes. After years of holding to a firm price, airfare increases, hotel and ticket price increases in Egypt oblige a commensurate rise in prices. The price has been increased from $3,995 to $4,395. However, this price now includes the voluntary/obligatory $150 baksheesh (tips) kitty that used to be a surcharge on top of the $3,995. All else on the Itinerary remains the same. I have reported previously on the thaw in relations between the Egyptological authorities in Egypt (chiefly with Zahi Hawass, still in charge of the Giza Plateau but recently promoted to a higher position within the bureaucracy), myself and my colleagues (principally Graham Hancock and Robert Bauval). In a country as hot as Egypt, it's hard to imagine a 'thaw' in relations -- come to think of it, it's probably more accurate to say that what was a bitter personal and media hot war has now cooled off to refreshing warmth (indeed, sometimes it verges on the cuddly) on the personal level, yet no less entrenched and opposed on the academic/scholarly/ scientific level. But it's now dialogue, not war, and it is my intention to keep it that way. Exactly what has been responsible for this reversal, I am not sure. A number of people take single-handed credit for bringing it about; others think that it is a directive from top Egyptian government levels dismayed at the bad press intemperate opposition and our spirited counterattack brought down on Egypt; still others think it is a face-saving calculated plan designed to defuse an upcoming revelation of important discoveries, long held 'secret'. (When I get around to completing my long-delayed multi-volume autobiographical work: UNRIDDLING THE SPHINX: Notes from a Heretic's Journal) I may speculate at some length on the above questions. Here, let me be brief, if not terribly helpful and/or informative. (1) I think a number of people did play significant roles in easing the long-standing tension, but no one person is in a position to take the credit. (2) I think it just possible that someone high in government might have suggested a more temperate approach to deflect negative publicity, but there is no way to know this. (3) I emphatically DO NOT believe (though I did initially) that discoveries have been made that are being kept secret. The reason for my altered position on items (2) and (3) is very simply Zahi Hawass. Zahi wears his emotions openly. When he's your enemy you know it. Unmistakably! When he's being friendly, (e.g. at the end of a convivial dinner last time in Egypt with my last big group, inviting me afterwards to smoke the shisha with him) it is impossible to imagine him doing it because he's been told by superiors to be friendly. Moreover, I think that if significant discoveries vis-a-vis the 'lost civilization' theory had been made, they would be difficult to conceal in the first place (with dozens of people invariably involved in any sort of excavation). And I also believe that if major discoveries were made, Zahi would follow the standard procedure: involving a period of careful observation and study, and then an official publication, with the press notified at some point during the process. It's possible that if something turned up that appeared to seriously compromise orthodoxy, the press might be called in later rather than sooner. But the discovery would be made public. For all Zahi's opposition to our ideas, he acknowledges that the Sphinx theory has brought Egypt more publicity than anything since Tutankhamen's tomb. New discoveries would up the publicity ante. And the more publicity, the better for tourism, and tourism is Egypt's largest single source of revenue. Zahi Hawass is well aware of the economic implications of the theory. I don't think he'd sit on anything really exciting just to keep his Egyptological colleagues snug in their cozy paradigm. Therefore, my personal conviction is that no credence whatever should be paid to the widely disseminated, wild-eyed and largely illiterate foolishness put out (mainly over the net) by an assortment of fools and charlatans claiming to have access to 'secret' information -- all obtained from the local camel-drivers and temple guards who, despite their humble stations and broken English are smart enough and imaginative enough to tell these deluded, disruptive souls what they want to hear for a few Egyptian pounds. It would appear the everyone in the world wants to know when drilling in front of the Sphinx will commence and reveal to the world 'The Hall of Records'. For the record, I would like to point out that the notion of the Hall of Records comes from one source and one source only, and that is Edgar Cayce. While Cayce seems to have been amazingly accurate in his remote medical diagnoses, the same cannot be said for his post WWII prophecies. I was lecturing at the ARE Foundation last August (Mark Lehner and Zahi Hawass were also there) and had dinner with Cayce's surviving son, who admitted the prophetic track record was not what Cayce admirers would like to see. Since there is no mention in any Egyptian text of a 'Hall of Records' I, for one, would not place too much reliance on its existence. On the other hand, our seismographs certainly show what appears to be a large void (chamber?) beneath the left paw of the Sphinx. Zahi Hawass, however, does not trust the technology. And since the Sphinx is, arguably, politically the most sensitive archaeological site on the planet, he does not want to drill there unless he is absolutely convinced of the chamber's existence. However, he says that if he can be convinced the readings are reliable, (via further seismographic studies and drilling in less sensitive areas around the plateau) he will consider drilling down in front of the Sphinx. If we can obtain permission to continue with our research in Egypt, we will try to satisfy his conditions. Meanwhile, in this prevailing dtente atmosphere, I now have very sanguine hopes that --if we can get the right sort of academic sponsorship-- we can get a proposal accepted that allows us to get back to Egypt with geologists and archaeologists, seismographs and ground penetrating radar to follow our initial research where it leads us. We are presently working on this, via my colleague Robert M. Schoch.  Moreover, there are now at least two orthodox Egyptologists willing to stand before their colleagues and argue, not necessarily that they are convinced we are right, but that the opposing arguments put forward to date do not refute our evidence. This constitutes a major breakthrough from our point of view. Along the same lines, one of Zahi's favorite public arguments over the years has been that Robert Schoch is the only geologist who believes in our theory. Actually, this is not true to begin with. At our initial presentation at the Geological Society of America's convention in 1991, attending geologists unanimously agreed, on the basis of the extensive photographic evidence presented, that the Sphinx was indeed water weathered. Zahi's response to that has been that none of these geologists has studied the evidence in the field, in Egypt -- not altogether an illegitimate objection. Photographs can indeed be misleading. But dismissing the theory on the grounds that Schoch is the only geologist to support it is an illegitimate objection. In 1600 Galileo was the only astronomer who believed the earth went around the sun. He happened to be right. Anyway, we've learned recently that David Coxill, (an English geologist, unknown to either of us, but author of a number of research papers and several books) went to Egypt in 1997 specifically to check out our work for himself. So now there are now at least two known geologists (and one unknown geologist) with hands-on experience in Egypt, convinced that the Sphinx was carved at a much earlier date -- forcing, in turn, at the very least, a revision of that particular objection. So, slowly but surely, we attract credentialed support from within the Establishment itself. Moreover, a handful of discoveries/observations made by myself and others over the past couple of years further support the theory. The nature of these discoveries is such that they do not look very spectacular to untrained eyes. Therefore scanning photos onto this website update that take forever to download would tell readers very little. At the same time, describing them well enough to make the point clear would take more words than I want to write, and, without intimate knowledge of the individual sites involved (which few reading this website will have) would also serve little purpose -I'm not trying to be secretive. It is enough for readers to know that there is now a body of new evidence supporting the initial theory. The essential is to get impartial geologists and archaeologists on site to see if this evidence can be explained in such a way that the standard chronology stands. If it cannot be, and the new evidence is corroborated by independent credentialed scientists, it will no longer be possible to deny that Egypt's history goes thousands of years further back into the past -as the dynastic Egyptians themselves always claimed. This in turn must finally oblige that total rewrite of ancient history, and with it, a reconsideration of the level of knowledge available to humanity at a time when, by orthodox beliefs, we were still hunter-gatherers. hosted by Maury Povich, March 2, 1999. This Fox Network 2 hour special was widely viewed but the reaction --judging from my own email-- by people with a keen interest in, and some knowledge of, Egypt was rarely positive. No one believed that the tombs were really opened for the first time (they weren't) and everyone was disappointed that us heretics (Bauval, Hancock, myself) were accorded so little time, while Richard Hoagland was given rather more time (to make a variety of unwarranted, utterly hypothetical Mars/Giza connections) as were the Cayce prophecies. Fox had ample interesting footage to draw upon, including a spirited debate on various elements of the 'lost civilization' theory between Zahi Hawass, Graham Hancock, Robert Bauval and myself, picturesquely recorded at an ancient coffee shop in the camera-friendly Khan-el-Khalili bazaar. Presumably (and wrongly) reckoning that its audience couldn't handle the intellectual content of the debate, all of it was edited out at some point, as was most of the other footage Fox had shot earlier in individual interviews with us. On the upside, no lasting damage was done, Fox was pleased with the high ratings the show logged, which reinforces the accurate network perception that ancient Egypt = high ratings, which in turn paves the way for other, less intellectually barren projects. As a follow-up to our dive off the coast of the Yonaguni island in 1997, Robert Schoch returned there in late summer of 1998 to continue his research. Bad weather severely hampered the diving, but in examining the major underwater formation again, as well as several other sites, Schoch found no reason to alter his/our earlier negative conclusions. However spectacular the sites may appear in the photos, he remains convinced that they are entirely natural, and can be wholly explained in terms of the nature of the rock when subjected to the long term action of ocean currents, tides, and typhoons. We'd both like it to be otherwise, but at the moment Schoch has found no evidence that would suggest working by human hands. Those following the 'Lost Civilization' controversy will be interested in Robert Schoch's new book, Voices of the Rocks: A Scientist Looks at Catastrophes & Ancient Civilizations. Schoch meticulously and critically examines the evidence for and against the various explanations that have been put forward to explain the cause of the acknowledged catastrophe that brought on the demise of the last ice age. This book is a state of the art statement on catastrophe theory. It will be published in May, 1999 by Harmony Books. A Ten Part Documentary Series for Television. Written by myself and my colleague Paul William Roberts, this ambitious project looks at all aspects of the 'Lost civilization' controversy, studies its implications for our view of history , draws the parallels between the ancient metaphysical doctrines and the latest discoveries in leading edge cosmology that look unmistakably like the ancient doctrine expressed in contemporary scientific language and speculates on the impact all of this will have in the next couple of decades as The Church of Progress loses its grip on the world mind and is gradually replaced by a new, sound, and constructive doctrine, nothing less than a true Renaissance. The project has come very close to contract signing over the past couple of years. Initially, Disney wanted to do it (as a four part series) but as everyone in the industry knows, Mickey Mouse is really Wally Wolf in mouse clothing. We were disinclined to hand over our life's work for a minimum wage return, just to have Mickey on the logo and so turned down the deal. Several other offers from other independent producers were also deemed unacceptable, but a new production company has recently expressed keen interest in getting behind it. We have high hopes that this time it will happen and will be ready to celebrate the New Millennium not so very long after the clock strikes 2000. Initially scheduled for February 1999, rescheduled for May 8-16th, 1999, and, (as this written), again postponed and re-rescheduled for Sept 23-Oct. 1, 1999 this unique event (if it happens!) will pit the main proponents of the Lost civilization school (myself, Robert Bauval, Graham and Robert Schoch, along with Egyptologist Dr. Edmund Meltzer and archeo-astronomer Dr. Archie Roy) against Dr. Zahi Hawass, astronomer Ed Krupp (author of Ancient Skies and many other books on ancient astronomy) and other orthodox scholars. The week-long event will be devoted to open debate, and to on-site examination of the evidence and counter evidence as well as excursions to the Cairo Museum, Sakkara and other local areas of major interest. For further information contact:Visions Travel: Tel (US) 1-800-888-5509, or 310-568-0138 or e-mail. R.A. Schwaller de Lubicz's masterwork, The Temple of Man, finally appears in English in an inspired two volume translation by Deborah Lawlor and an equally inspired production job by the publishers. This book is, in my opinion, the most important single work of scholarship of this, or any other century. It is a work of pure genius; the more you study it, the more it seems impossible for a single man to have accomplished. Starting with a single revelatory observation in Egypt in 1937, Schwaller de Lubicz, over the course of some 20 years, was able to piece together the sacred science of the ancients and present it in rigorously documented fashion. This is not bedtime reading, but readers willing to put in the effort to study it in depth will finally understand why ancient Egypt was regarded by the classical civilizations of Greece and Rome as the source of all wisdom. Because it was! Readers will come to understand why it has been opposed so virulently by the priesthood of our own Church of Progress and they will also learn to appreciate the manner in which civilized human beings once comported themselves; why Egypt, even in ruins, remains a magnet for travelers; why its temples, tombs and pyramids still, and rightfully, provoke our awe and wonder. The Temple of Man, by R.A. Schwaller de Lubicz, tr. by Deborah Lawlor, Inner Traditions International, $195 -- but available steeply discounted through Amazon, Barnes & Noble and other major discount book chains.